The Walkley Young Australian Journalist of the Year Awards recognise and reward the hard work of our most outstanding young Australian journalists. In 2019, these the awards will recognise those aged 28 and under who demonstrate excellence in the fundamental tenets of the craft as well as the ability to present distinctive and original journalism that pushes the boundaries of the profession. All category winners will receive mentoring from the Walkley Advisory Board. A philanthropic grant from the Jibb Foundation subsidies entry fees, allowing them to remain at $50 for all categories except for the Student journalist of the year award, which is free to enter. Entry remains free for MEAA union members. 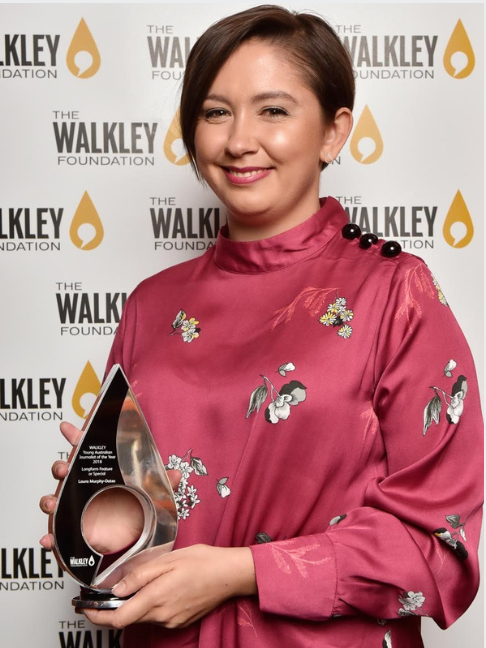 The Walkley Young Australian Journalist of the Year aims to encourage and recognise the rising stars of Australian journalism. Winners will be selected on the basis of journalistic excellence in the fundamental tenets of the craft as well as the ability to present distinctive and original journalism that pushes the boundaries of the profession. The 2019 awards are open to young journalists 28 years and under, employed full-time or freelance, who have self-published or had work published or broadcast through Australian media outlets, including online publishers, between April 27, 2018 and April 26, 2019. Congratulations to the 2018 Young Australian Journalist of the Year, Laura Murphy-Oates, for her work at SBS, “Young and black”, “Kids of Kalgoorlie” and “Vanished: Canada’s missing women”. Laura also won the Public Service Journalism and Longform categories. Thanks to the support of the Jibb Foundation, Laura will fly to the USA to undertake two weeks’ worth of work experience with BuzzFeed, The New York Times, Columbia Journalism Review, Twitter and Quartz. She and all the category winners will also receive mentoring from the Walkley Advisory Board. View the full list of winners for the 2018 Young Journo Awards, as well as the full announcement of the mid-year award winners here.